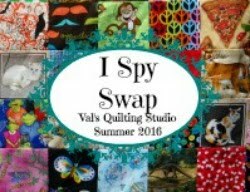 Val's Quilting Studio : Why do you quilt? Sooooo....for some reason I find myself with many projects going on right now, moving a lot forward each week! !My husband asked: "What are you going to do with all these quilts when they are done?" Hmmmm.....that question never occured to me. I just love making quilts right now. Okay, I even love the shopping! So that got me wondering. Do you always start a quilt with an intended purpose/recipient? I mean for me, every family member has more than their share of quilts now. As you can tell, I'm having great fun just being free and exploratory with my quilting right now. What do ya think? I'm curious, why do you quilt? Tomorrow we'll be sharing our alphabet projects. Tell your husband it is the JOURNEY, not the DESTINATION! (That's what I tell mine!) Enjoy the process and all your wonderful projects you have going on right now. You can't always 'reason' the creative process. I quilt for all the same reasons as you, creativity and an outlet for stress from the work world. Putting thread into fabric is much less expensive than therapy, LOL!! Many quilts I give away, but I also keep a lot. I change them around the house with the seasons, and I am working on more table toppers and wall hangings this year. 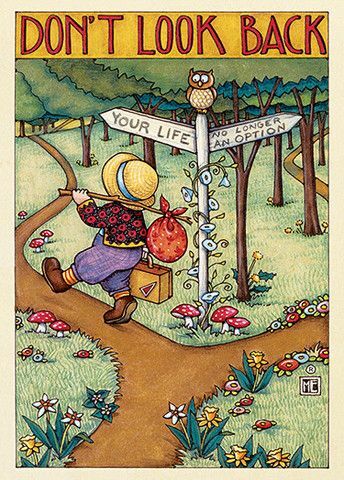 Not every project has to have a destination, I agree with Debra, it is the journey that is the joy. I quilt for my sanity, my children and grandchildren. I also quilt for me because it is my "thing" and gives me pleasure. I quilt for many of the same reasons you do. The creative release, learning new techniques, meeting new people it all makes it worthwhile. I often don't have a purpose for a said project. I find that comes later. I agree with Debra - but I also like to make and donate a lot of charity quilts so there is some thought and process into those (as to where and to whom they are going). 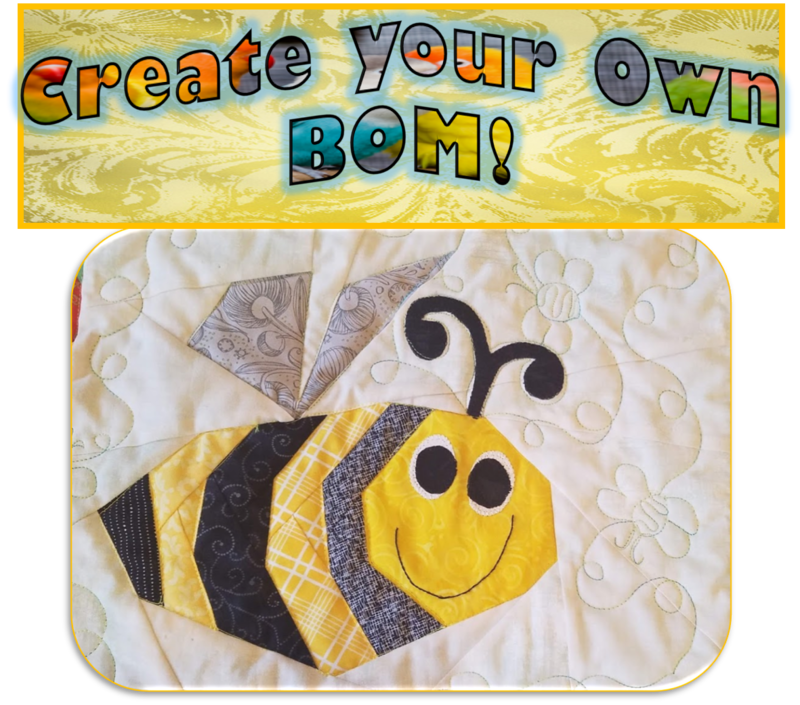 Quilting is a great way to enjoy fabrics! The colours, the patterns, the selection! Amazing! And it's a great way to meet great people! I quilt for pleasure and stress relief. I like the journey more than I like the final product. And then I quilt for having all nice contacts all over the world, like you. It's also good for my languages, because I can read and write English, German and French, and of course Norwegian. Quilting is my therapy! It helps me unwind from work and enjoy making something beautiful. The process is even more important to me than the product. My family grudgingly puts up with my obsession even though they are happy recipients of many of the fruits of my labor. I use to paint and loved color, as I went to art shows I was drawn to those who sewed with vibrant colors. I stopped by a fabric store and that was the beginning of the end of my painting. It just sorta transitioned from there. The creativity is a huge part for me. But I think all stitchers have most of the same reasons and enjoyment of sewing. That is why we usually relate to each other so well. I just love the dressed people and houses you have started. While I do make dolls, I have never made any quilting blocks with people, I have done houses and they along with cats are my favorite. I enjoy the wonkiness of both sets of your starting blocks. And you have inspired me to try the same. Thank you. It's all about the process more than the product fr me. 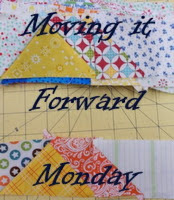 I enjoy playing with the fabric, the color and the challenge of quilting. I seldom have a person in mind when I make something but almost all my quilts leave home. In fact I've yet to make a quilt for my own bed! The process is my entertainment. I rarely have an attachment to the quilts I finish so many of them get donated. It feels good to share them with others. Both Carole and Debra said it best! I might just jot that down. If quilting makes us happy why do we have to justify it! Just do...besides I swear, it's in my DNA! Oh gosh, I've never even thought about that question. It is just what I do and I enjoy it. Such a great question. 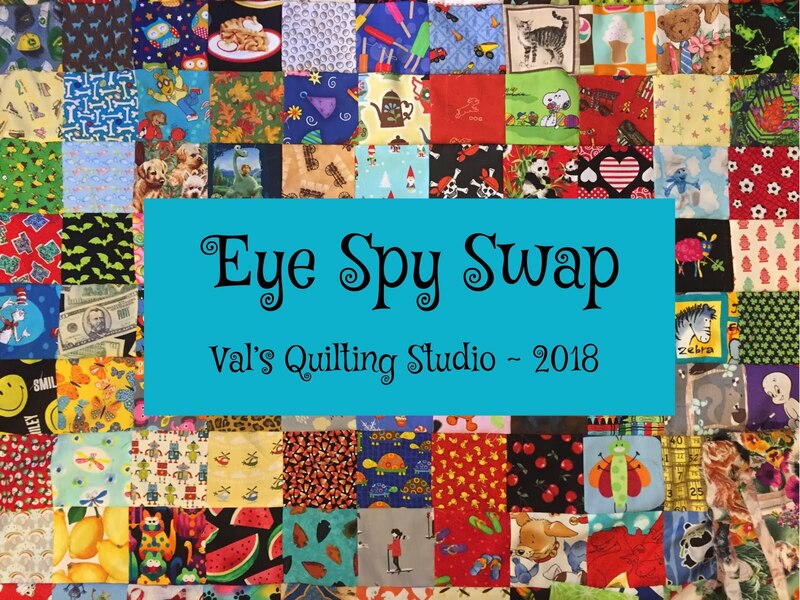 I think we all have our own reason (or two) for quilting and I for one, love to hear about fellow creative people. I rarely have a reason for making a specific quilt. In fact, I find that when I do (new baby, wedding, etc.) I am not nearly as creative. I somehow get bogged down in what I think the recipient would want. Much more fun to "let it go". Thanks for posing the question. I quilt to relieve the stress of a very stressful job. So, quilting, I guess, is my drug of choice. I quilt for the challenge and stress relief...like some people above, the end product is less important. I do not feel precious about the quilts I have made, because once they are done, I move on to the next challenge. Actually I think I have a problem...I do seem to need that sense of challenge and self critique and thrive on continuous learning. Quilting, of course, gives me endless opportunities, particularly FMQ. I stitch for my sanity! Being retired and living on my own with no local friends to pop in it fills my day, also do embroidery and tatting. My trouble is I get to the flimsy stage then take it no further so just as well I am not making for anyone,though I have made a few for family who know nothing about stitchery so are uncritical. The few I have finished have mostly been quilted by hand as machine quilting is still a problem to me. Ditto on what you listed but bottom line, I quilt because I must. It is in me and must come out. I quilt because a can't not quilt. It's like asking why I eat. Does one need a reason? I rarely start a quilt with someone in mind. Usually, I start them because they appeal to me. Sometimes I'll decide to give a quilt to someone for a special occasion, and sometimes the quilt will tell me where it wants to go. Quilting is my creative outlet. One I never knew I had until I learned to quilt. It allows me to explore color, techniques, and keeps my mind going! Rarely do I quilt with a 'person' in mind. I quilt because I enjoy the finished project. It gives me something that when done, stays done. So unlike cooking or cleaning or most else I do for my family. I rotate my quilts hanging them on the wall but I don't mind just having a stack of completed quilts that I have made. It is a stack of accomplishment! Great response. The on-going, never-ending nature of cleaning and other household duties is enough to drive anyone insane. I like to make quilts and other stuff for my home, it gives me great pleasure, and we like to use them. To me, there is no such thing as too many quilts (at least for now). I make quilts for others too, but it makes me more anxious. I quilt for all of the reason above, especially Mari's reason. 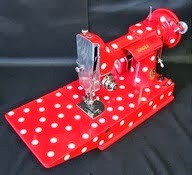 I'd go nuts without time in the sewing room. As far as starting projects, some are started for specific people, some because I have the perfect fabric for that pattern. Others just because. Thankfully my family gets the "no reason" stuff. Though if Drama Teen keeps finding friends who need quilts I won't need to find any more room to store them. I quilt for lots of different reasons. I enjoy the journey and want to keep going, but sometimes I wonder why I'm making something. The reason sometimes comes later with a recipient I didn't think of before. I have seven siblings. Each of them has a spouse. Between them there are fourteen kids. My husband has a sister, a husband and two kids. I have a husband and two boys, a mom, a dad and a mother-in-law. Only eight of them have quilts. My goal is to make each of my nieces and nephews a graduation quilt, each of my siblings their own throw quilt, and each couple a bed quilt. I also have a couple of favorite in-laws I'd like to quilt for. If I live long enough, I will achieve my goal! But in between obligation quilts, I make other quilts just because I want to. I can remember the thrill of the first time I had a wall full of "projects in progress" like yours! Up to now, I actually felt I did need a "purpose" for a project just to make sure I didn't let them sit too long if I hit a road bump! Now I have a few projects that I'd like to tackle "just because" but since I still have so many "To Do's" yet undone that I never get to the others! Tuesday Archives #99: The Alphabet! How did I NOT know about this tool? !